The Vauxhall Vivaro is back; bigger and better finished than ever before. There's a choice of two lengths and two roof heights for the panel vans. The interiors are a good deal more comfortable and practical and the engines comprise either a 1.6 turbodiesel or a 1.6 twin turbodiesel, both powerplants available with two different power outputs. Nobody could accuse Vauxhall of rushing the second generation Vivaro into production. Some thirteen years after the original appeared, we now have a successor. 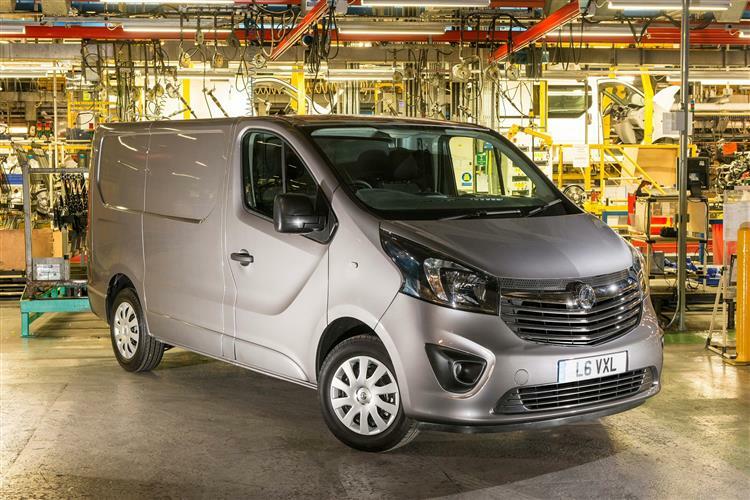 It's not as if Vauxhall had its hand forced by dwindling sales either, with the Vivaro and its sister vehicle, the Renault Trafic, commanding a ten per cent market share Europe-wide. Almost a million units were sold during that period, with Vauxhall continually tweaking the formula according to customer demands. In that period it learned a lot about how to build a mid-sized panel van. 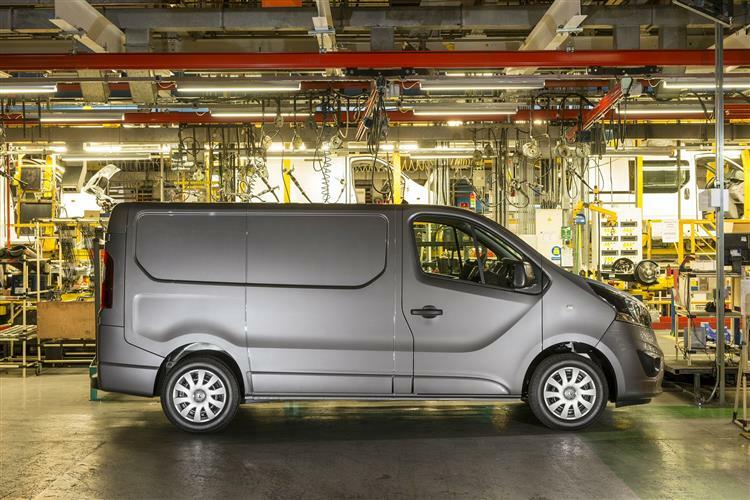 The results of all that experience have been poured into this latest Vivaro. 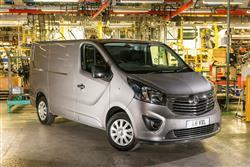 The playing field has changed too in the interim, and the Vauxhall now has to face down increased competition from some smart medium sector rivals such as the Volkswagen Transporter, the Mercedes Vito and the Ford Transit Custom. 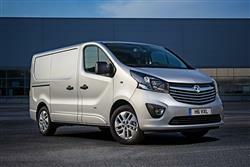 Even with those contenders in its path, you wouldn't bet against the Vivaro reprising its previous success. The engines that power the Vivaro are both 1.6-litre turbodiesel units, but aside from that, they deliver very different results. Most buyers will probably opt for the 1.6-litre CDTi unit, available in either 89 or 113bhp power outputs. In order to match the sort of power outputs Mercedes can deliver with the Vito, Vauxhall has also introduced the 1.6-litre BiTurbo CDTi engine, available in 119 or 138bhp guises. Powered by two turbochargers working together, this engine combines excellent performance with decent fuel economy. From just 1,500rpm, the 119bhp BiTurbo generates an impressive maximum torque of 320Nm, while the 138bhp variant delivers 340Nm. From just 1,500rpm, the 119bhp BiTurbo generates 320Nm torque, while the 138bhp variant delivers 340Nm, so there's plenty of muscle even if you're fully loaded. The driving position, though not as lofty as in some models nevertheless affords a decent view up the road. You get big door mirrors to help with manoeuvring and tried and tested transmissions. 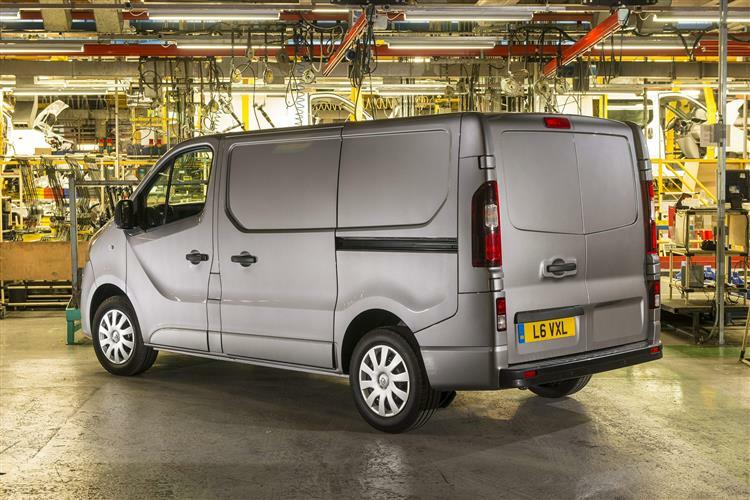 The Vivaro looks anything but another anonymous panel van. There's a bluff Vauxhall front end, with plenty of chrome and huge headlight pods set in high-gloss black mouldings. The LED daytime running lights come with signature Vauxhall wing graphic design. Move round to the side and you'll spot the crisp blade feature flowing from under the side mirrors back to the rear wheel-arches in the same style found on the Insignia family and Astra GTC models. 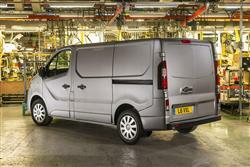 The new Vivaro colour palette comprises eleven standard colours, with five solid and six two-coat metallic finishes. The cabin is much improved as well, with better refinement, a focus on utility, plus darker and more durable materials used throughout. Comfort has been improved as well, with seats that rake back and more adjustability for the steering column. There are also some neat touches like a detachable clipboard and a place to hide your laptop. 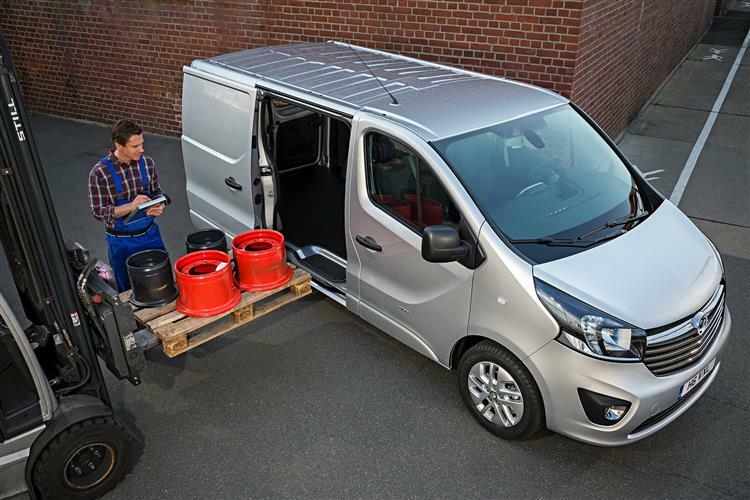 Depending on how the new Vivaro is to be used - as a robust van or a comfortable large-capacity combi - customers can choose between two body design trim levels. 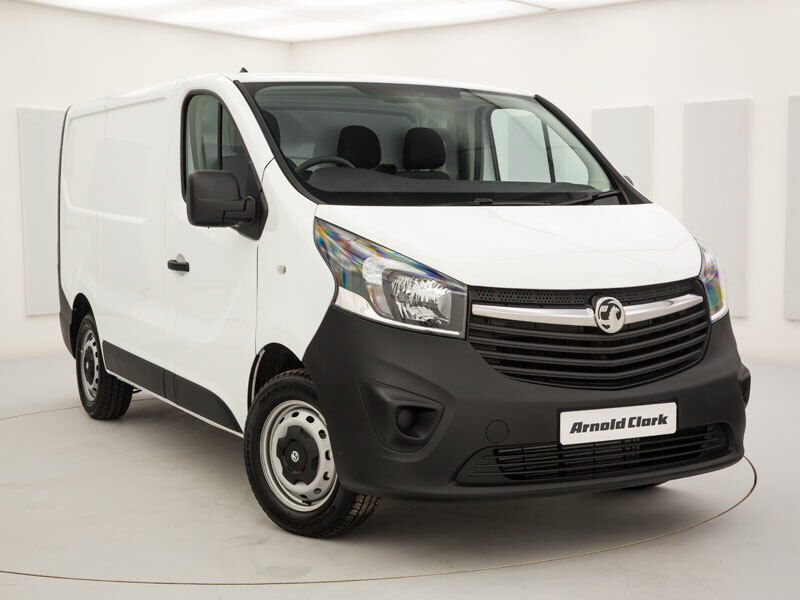 The Vivaro variant (first trim level) is strong and practical with the front bumper, grille, side mirror housings and the vertical rear mouldings presented in a durable, black textured plastic material. For the Sportive trim level, all body elements including the front bumper, side mouldings, vertical rear bumper corners and the side mirrors are painted in the vehicle's body colour and the grille has chrome accents. A Keyless Open & Start system means you can carry gear to the van without the need to fumble around for keys. These simple things can make a big difference to everyday utility. For example, if you're wearing gloves, you won't need to remove them to search your pockets for the keys to get things in and out of the van. 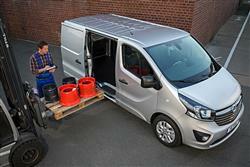 The Vivaro panel van is offered in two lengths. The standard L1 configuration measures 4,998mm from stem to stern, with the L2 breaking the tape at 5,398mm. There are also two roof heights to choose from. Compared to its predecessor, you get an extra 100mm interior load length, and cargo capacity ranges between 5.2 and 8.6 cubic metres. Vauxhall has also been smart about accommodating even longer loads too, with a flap that extends through the bulkhead and below the front seats to allow up to 2.95m long items. Need even more length? Then simply open a secondary flap that extends into the front footwell, allowing up to 3.2m long items to be taken on board. Of course, you could always just opt for the longer L2 model with its cavernous 4.15m load length. Although you do get more space inside the Vivaro, Vauxhall have made sure that those looking to upgrade from the old model to the new can still fit their existing racking systems into the later version. If you're running a fleet of old and new vans, this transferability means real savings. As indeed does the fuel economy of the latest model. Vauxhall reckons the entry-level vans will achieve up to 49.5mpg, confidently predicting this Vivaro will deliver best in class economy. There's also an eco button to help you get the most from a gallon of derv. It's often the case that a manufacturer with a successful model on its books succumbs to paralysis; afraid in many ways to kill a goose that lays golden eggs. 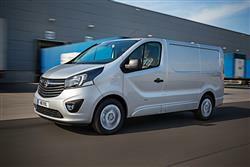 The Vivaro has been just such a model for Vauxhall and while the company has taken a very long time to launch a replacement, the changes to the second generation design are well-judged and ought to continue the Vivaro's strong sales. Is there really that much to choose between panel vans? After all they're merely boxes of fresh air on wheels. 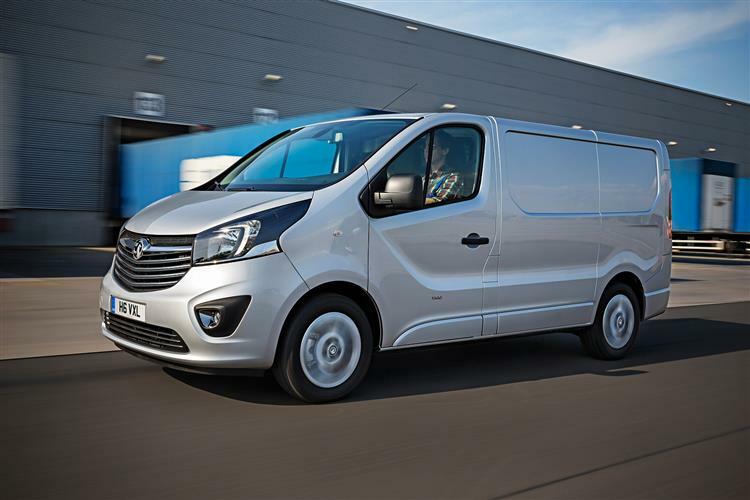 Perhaps the answer to that is that when it comes to operating a fleet, even small differences rapidly add up and Vauxhall's claim that the Vivaro delivers the best fuel economy in its class has to be taken seriously. With a broad and versatile range, clean and powerful engines, distinctive styling and a more comfortable interior, it's hard to see how this one can fail to score.